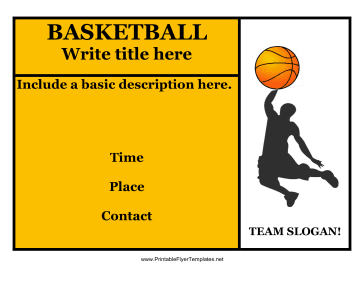 A basketball flyer in classic orange with a basketball player will be sure to get the attention of potential team members and spectators. You can include information about the event you are advertising, like tryouts and game times. This flyer is sure to be a slam dunk in basketball season!